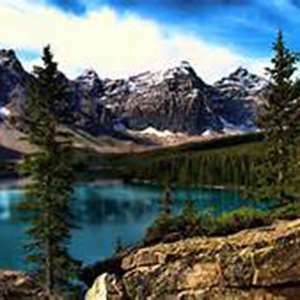 Create a lifetime of incredible memories traveling through the unforgettable Canadian Rockies! You’ll overnight in Calgary, Banff National Park, Jasper National Park, Kamloops, Vancouver, and Victoria, and you’ll enjoy a 7-night Alaska cruise. Along the way, witness spectacular scenery and explore western Canada’s most famous cities. Two nights in both Banff National Park, one of Canada’s favorite resorts, and Jasper National Park, Canada’s largest national park, give you time to be amazed at the majestic scenery, explore on your own, or take optional outings. Between Banff National Park and Jasper National Park, stop in Lake Louise and marvel at this world-famous location with its cold waters reflecting the surrounding mountains and glaciers. 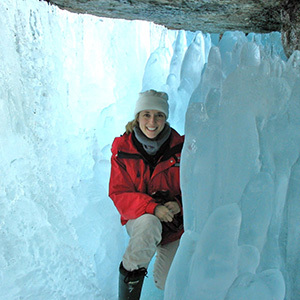 You’ll also stop for a highlight of this western Canada tour—a thrilling ride aboard an Ice Explorer on the Columbia Icefield, the largest expanse of ice in the Canadian Rockies. Another highlight of this western Canada tour is a 2-day, all-daylight journey from Jasper National Park to Vancouver on the Rocky Mountaineer. This train ride through breathtaking scenery takes you back to a time when getting to your destination was part of the fun. Along the way, pass Mount Robson, the Canadian Rockies’ highest mountain; wild rivers; majestic mountain ranges; and beautiful Hell’s Gate. More scenery awaits on your ferry crossing from Vancouver through the spectacular Gulf Islands to Victoria. In Victoria, enjoy world-famous Butchart Gardens with its 55 acres of floral displays. But that’s not all…watch for spouting whales, soaring eagles, barking seals, and other wildlife on your Alaska cruise. Marvel at glaciers and witness the amazing spectacle of thunder and spray as tremendous slabs of ice break off and “calve” into the sea. This is an unforgettable, value-minded vacation with an amazing itinerary full of beautiful scenery and once-in-a-lifetime activities. 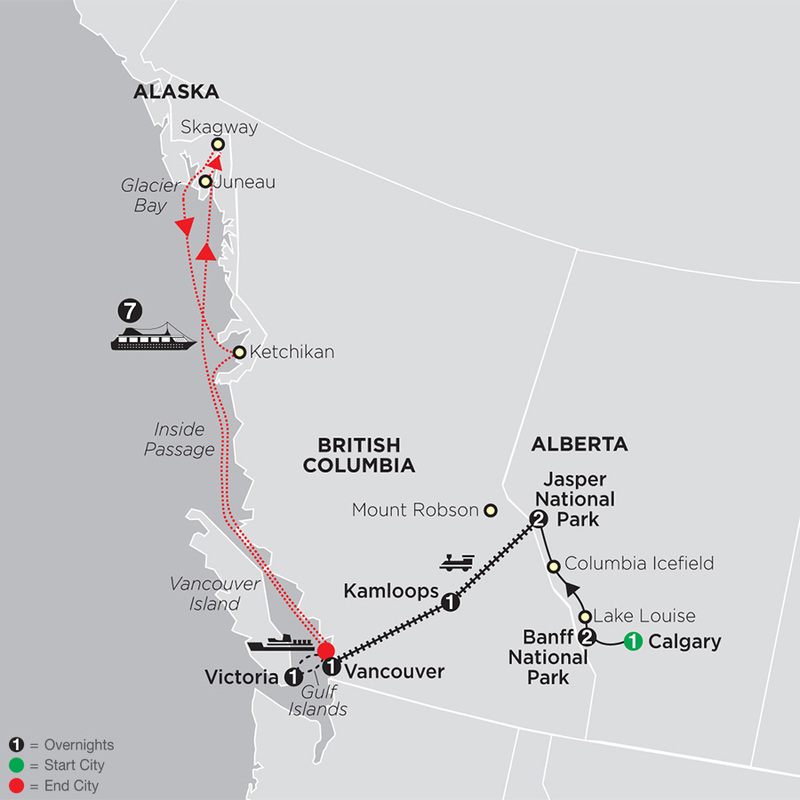 On Rocky Mountaineer—2-day, all-daylight rail journey in SilverLeaf Service; GoldLeaf Service upgrades are available; ferry crossing to/from Vancouver Island; Holland America’s MS Volendam; private, deluxe, air-conditioned motorcoach while touring with free Wi-Fi. Today is at leisure. Play golf, horseback ride, hike the many wilderness trails in the area, stroll through Banff, or simply relax at the hot springs. The park is the perfect place for wildlife watching and as a visitor you may spot some of these amazing creatures in their natural habitat. The most commonly seen are deer and big horn sheep. First stop is Lake Louise, whose cold waters reflect the surrounding mountains and glaciers. Precipitous gorges, snowcapped mountain ranges, and exquisite lakes come into view as the motorcoach scales three mountain passes. Another highlight is a stop at the COLUMBIA ICEFIELD to experience the Ice Explorer, an all-terrain vehicle that travels on ice measuring 750 feet thick. Late this afternoon, join our optional float trip down the historic Athabasca River. In Jasper, an orientation tour showcases the unspoiled beauty. Accommodation for the next two nights is in JASPER NATIONAL PARK. 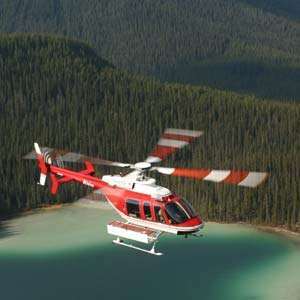 Join the optional narrated cruise on Maligne Lake to Spirit Island. 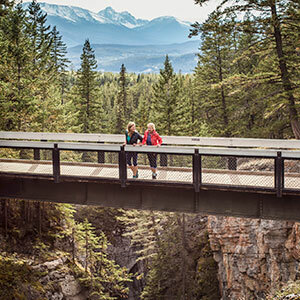 On the return journey, you’ll be mesmerized by dramatic Maligne Canyon. 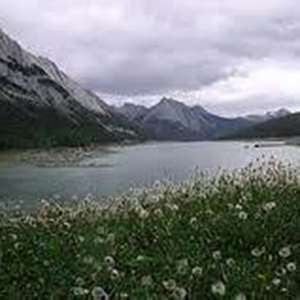 With much of the afternoon and evening free, consider hiking or exploring Jasper’s local charm. While exploring the largest national park in the Canadian Rockies keep an eye out for native wildlife, including grizzly bears, moose, caribou, and wolves. An exciting morning as you board the Rocky Mountaineer for a 2-day, all-daylight, classic rail journey from the Canadian Rockies to the Pacific Coast. En route, pass Mount Robson, the highest mountain in the Canadian Rockies. Follow the Thompson River and enjoy vistas of the Monashee Mountains. Reboard the train and head through the ranchlands along the South Thompson River. 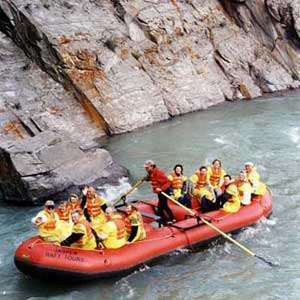 Continue through the stark beauty of Fraser Canyon and the turbulence of mighty Hell’s Gate. 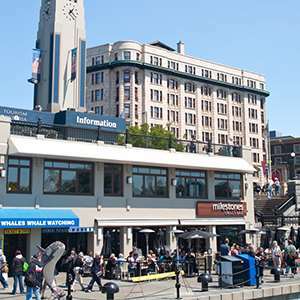 After an early evening arrival in Vancouver, transfer to your hotel. Morning sightseeing focuses on Vancouver’s Chinatown, Gastown, and lovely STANLEY PARK. Afterward, sail through the spectacular Gulf Islands, known for its Mediterranean-like climate. Afternoon sightseeing in Victoria includes world-famous BUTCHART GARDENS, Bastion Square, and Thunderbird Park with its collection of totem poles. Morning departure for Vancouver. Embark your cruise ship. .